I'm the Real Estate Agent for You! I have years of experience successfully buying and selling homes in the local San Luis obispo real estate market. 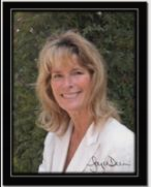 I'm a full-time San Luis Obispo real estate agent - anything less and you'd be short changed. You'll have the advantage of personal, one-on-one attention, as well as mydynamic web and e-mail resources.